Famous last words Heather! 150 lbs with hCG later……. What. A. Transformation. I mean right?? You are so inspiring to us all. My 50 lbs ain’t got nothin’ on you girl!! I hope this will give hope to those of you out there who have a further way to go than some. If I am looking at food as an enemy, and my body as an enemy, that is emotional depriving. When I feel emotionally deprived, I want to feed that, with food. I had to start offering my body and myself a lot of love. It helps fill an emotional hole that had been there for awhile, and I don’t need to fill it so much with pizza and cheesecake anymore. Heather shares her history with weight including being put on her first diet when she was 7 years old, which made her think something was wrong with her. She reached a point in adulthood after trying many diets and not being able to maintain weight loss of quitting all diets. Dieting is hard on your psyche. So for a period of years she tried to simply eat healthfully but be at peace with her body as it was. Eventually she was led to hCG after discovering her health really as in danger at her weight. Towards the end I REALLY picked her brain about what has been involved in getting over emotional issues related to her weight – she’s had a counselor to help her with this, and I was curious about this process. Lastly, key points on the need to white knuckle it at times – both of us have experiences with this on hCG and the urgency to binge or eat does go away if you get through those crucial moments. But you really must watch/listen to enjoy her whole story! Sugar free Electrolyte mix – Heather mentioned this as a huge help with the initial large water weight loss at the beginning of the diet, which can cause an imbalance in your electrolytes. Sugar free Cheesecake – we don’t have Heather’s exact recipe, but here are a few that look promising! These are for Phase 3 folks, just fyi. Basics: (age, height, menopause? any meical details you feel are important- ie thyroid etc). I am 41 years old and 5’11”tall. I am not in menopause but do have these conditions: Diabetes Type 2, hypothyroid and PolyCystic Ovarian Syndrome. How much weight you’ve lost with hCG/starting weight/ending weight/ clothing size change. How many rounds did you do, how long was each round? I am finishing up my 6th round this week (this was back in like maybe April/May of 2015 – it takes me awhile to get these interviews up!). I started my first round in July of 2013 at 427 pounds I am currently at 283. 150 pounds lost so far. The length of my rounds varies based on my other activities. I maintain within 5 pounds of LIW after each round. The only exception was between rounds 5 & 6. I had an approximately 5 month break and fell into my old bad eating habits over the holidays. I regained 20 pounds between Thanksgiving and New Year’s. I learned a very valuable lesson about respecting my body and P3! I like to say that I was “born fat”. At birth, I was 1 month premature and weighed about 9 pounds. My mom was Type 1 diabetic and I have always had blood sugar issues. (Diagnosed with “reactive hypoglycemia” at age 6. I was not diagnosed with my DM 2 until my mid-thirties, though). I was a tall, chubby but athletic child. I was taken to the pediatrician for diet pills at age 6 (thankfully he refused!). I started my first diet (The Cabbage Soup diet) at age 7. I lost 20 pounds and regained it quickly. This was my introduction to a long string of low calorie diets followed by bingeing/regaining. When I hit puberty at age 11, the weight gains intensified no matter how much I exercised. I struggled with every promising diet that came along throughout my teens and 20s. In my early 30s, I finally gave up and decided that I would always be obese. I truly tried to accept my size. But while I enjoyed my new found emotional freedom from the disheartening starve/binge cycle, my health worsened. I continued to slowly gain weight while “eating sensibly”(lots of green veggies and lean protein but with occasional additions of chips and my favorite sugar free desserts). I developed uterine fibroids in addition to my PCOS, my thyroid began to go haywire and I was finally diagnosed with diabetes 2 in my late 30s. I continued my active lifestyle and ignored my doctor’s diet advice because, after a lifetime of enforced dieting, I was sick of being shamed for my size and wanted to take control of my own life. For years, I stubbornly refused all offers of diet counseling and surgery. I was determined to be fat and happy and love the body I was given. However, after injuring my knee a white water rafting accident, I realized that despite my belief that it was possible to be overweight and healthy that it was not possible for me. Not only were my blood sugars climbing higher at each checkup and my thyroid was difficult to correct, I was now immobile and trying to rehab my knee at 427 pounds. I had joint pain and embarrassing skin conditions related to my size. I felt helpless and knew I could not continue on this way. In the fall of 2011, my doctor encouraged me to think of gastric bypass surgery. I was terrified at the prospect of major surgery. That winter, she mentioned the hcg diet. I thought she was nuts to recommend a 500 calorie diet! I was worried that I could go into starvation mode. By the next summer, I was desperate enough for a change. I had been researching both gastric bypass and hcg. I decided to try hcg first as a way to avoid invasive surgery. I really wasn’t sure that it would work but I was desperate. Thankfully, it worked! I have used prescription troches, sublingual drops and injections. I’m currently injecting 175u. It seems to be working for me. The first week of my first round was especially tough. My blood sugars were already high and my body had to adjust to the low calories. That, along with the water weight release, caused me to struggle with light headedness between VLCDs 5-10. But once my body got into the groove, I felt better and had no hunger. My doc also recommended an electrolyte supplement that I take each round. In subsequent rounds, my hunger and dizziness were less. But I have also learned to slow my physical activity and take my electrolytes. I rarely have hunger on P2-even during week 1. I load “muddy”. Not quite a full blown, carb filled, pig out but also not a clean load. I eat a lot of homemade, sugar free cheesecake and ice cream plus fatty meats and avocadoes. When loading for this round, I even got my favorite meal at my local Chinese restaurant! Loading for me is a balance of eating healthy fats, low sugar foods AND eating yummy foods to help me emotionally prepare for several weeks of fasting. My phase 2 meals are very simple. I keep it simple. Grilled lean protein, green veggies, fruits, a little coconut oil and some non-fat milk in my coffee. I avoid recipes in P2 because I love food and love to cook. BUT this places too much emphasis on food for me during P2. I keep it mostly plain though I “liven it up” with hot sauce and spicy mustard. I do have one treat…frozen blueberries drizzled with a little balsamic vinegar and erythritol. Let the berries soften a little on the counter and then smush them up with a spoon and eat. Delicious! See above. I keep it as simple as possible. Because of my lifelong blood sugar issues, I am still reactive to simple carbs and sugar. I can gain 5 pounds of water weight overnight after one carby meal. This includes P4 foods like beans, sweet potatoes and whole grains. I find I must stay on P3 to maintain. Also, P3 is a time to re-nourish your body. If you are going to do multiple rounds, make sure to emphasize lots of healthy veggies, proteins and fats. I do best on a low-carb Weston Price style diet so I eat grass fed beef liver, butter, coconut oil, avocadoes, sardines, salmon, a rainbow of veggies and even cod liver oil during P3 to replenish my fat soluble vitamins/minerals. I stay with P3 as much as possible. I hope that once I reach goal I will have better blood sugar control and be able to add back in P4 foods. But for now I stick with P3 to maintain between rounds. I was low carb (but stopped losing) through much of my 30s. P3 is not much different from that…except now I limit processed foods and nuts. I stay on P3. I weigh frequently and notice when a food causes a gain. This helped me to discover that I need to limit nuts on P3. I also have been working on my emotional eating issues with a counselor. 12. Do you have any memories of your life/body pre hCG that are totally different for you now? I was living a limited life before my weight loss. While I firmly believe that we all need to love our bodies and embrace life at whatever size/shape/age we are, I found that, for myself, I was *not* happy at 427 pounds. After losing 150 pounds my blood sugars are in the normal range (with medication). I also love being physically active in the outdoors and I am now much more able to move about like I want to. I am even saving up for scuba lessons! On P2 I like my blueberries with balsamic vinegar. On P3, I make a great homemade cheesecake with stevia and erythritol. I also love to experiment with coconut flour. I really try to adapt my former comfort foods to P3 friendly foods so that I never feel deprived. If I do splurge with regular pizza or cake when out with friends, I notice an overnight gain and an immediate return of my old carby, cravings. My “cheats” are very rare because of this. The biggest thing I have noticed is going back to their pre-HCG eating habits. Hcg is a wonderful tool for weight loss but, like any diet, you have to permanently change the eating/lifestyle habits that contributed to your weight gain. I have also found it helpful to take things slowly when transitioning between phases. Add P3 foods in slowly over the course of your 3 week stabilization/transition. 1) Stick with it. Do Not cheat on P2-Hcg is very unforgiving of cheats. Develop a plan and stick with it (I eat mop but I stick with my mop). 2) HCG is a huge change in lifestyle. Make it as easy as possible on yourself. Plan your rounds with social engagements/holidays in mind. If you love to eat with your family at Thanksgiving dinner, make sure you are on P3/4 on that day so that you can be more liberal in your choices. 3) Develop healthier recipes for your favorite comfort foods while on P3. Again, try to avoid temptation while enjoying your food. I failed at many a diet because I felt deprived and punished while “eating healthy”. 4) LOVE YOUR BODY in all its shapes and sizes. As someone who struggled with weight since childhood, I was taught early on that I was unacceptable because I was big. I grew up believing this and blamed my body and myself. The only solution that I knew was to fight my body with starvation diets* and lots of self-criticism. This led to abysmal self-esteem and diets became a way to punish myself while trying to force my body (and self) into a “better” shape. HATING MY BODY (even those pesky, wobbly, fat bits) NEVER WORKED! ( at least not for very long) I have made a conscious effort to look at my body (and myself) with love and compassion. This has made a huge difference in my ability to stick with the diet. 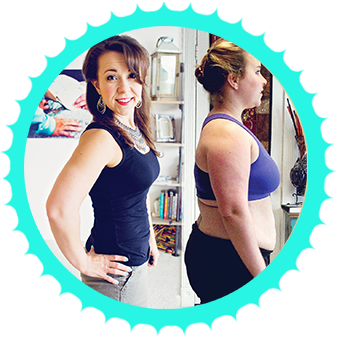 HCG is a tool that makes it easy to eat low calories without feelings of deprivation or hunger but I know that when I am thinking of my body as wrong and trying “fix my flaws”, I begin to feel deprived emotionally, too. When I am emotionally deprived it is easy to want physically feed the emotional deprivation. I now think of myself as a grand work in progress. I am kind to myself and my body. I make sure that P2 is as easy and as comfortable as possible. This includes seeing the diet as a way to love myself towards better health and returning to my beloved activities. Each pound lost is a step towards a healthy, more active me instead of a step away from a hated body size. For me, this was a subtle but profound shift. *Yes hcg is a low calorie diet…but I do not believe it is a punishing, starvation diet. Because of the hormone, I have found that I am able to gain muscle while losing gobs of abnormal body fat. And P3 is there for a reason. To maintain, stabilize and re-feed your body with healthy foods. Rayzel: Hey guys! hCGChica. Welcome back to the hCG Diet Interviews. I have Heather with me today. This is Episode 29 and she has lost a total of 150 pounds so far with hCG so it’s just amazing and she told me that amounts to 10 sizes down in clothing or her so far. That’s just amazing. That’s huge! Do you feel like that’s huge? Heather: I do! I do! A year and a half so it’s come up on me slowly but yeah! Pretty amazing! Rayzel: Hope you recognize what a huge accomplishment that is. Rayzel: Well thanks for being with me today. We’re just gonna hop into it. I’m gonna ask some general questions and then we’re gonna get deeper into her story. The emotional side of things because really that is a huge part of weight loss as you guys all know and so she’s gone through the gambit of it actually. Why don’t you give us just some of your basic stats, your age, any health conditions that you have, things like that. Heather: Sure. I will be 42 in May. So coming is my 42nd birthday. I do have Type II diabetes which is one of my main motivators for starting the hCG. I do take meds for hypothyroid and I also deal with polycystic ovarian syndrome. Rayzel: Okay, so those are her stats. So just you guys know, there is a lot of people doing this protocol who are not in perfect health and it can help. It’s not like it fixes everything but you can lose weight with health issues in this protocol, I think it’s the main thing for people to realize. Heather: Yeah, and I found that even with the polycystic ovarian syndrome that my cycles have smooth out. For the first time in a decade I can have regular cycles. Heather: It does. Between finishing up round 6 and my last round I took a 5 month break and towards the end it starts to get a little bumpy again. But I think it’s just the weight loss and the calories? I don’t know if it’s the hCG itself but it does seems to give me clockwork cycles. Rayzel: Interesting. That is really interesting. And so tell us what is your starting weight was, if you don’t mind and where you at right now. Heather: I started at 427 pounds and as of yesterday I was at 283. I think that’s just about 150 pounds even, gone. Rayzel: And you’re tall, right? You’re 5’11? Heather: I’m 5’11. So yeah! Rayzel: You’re like my opposite. You’ve got 10 inches on me. We should stand next to each other sometime. Why don’t you tell us how many rounds you’ve done for this 150 pounds weight loss? When did you originally start, that type of stuff? Heather: Sure. I’ve been finishing up my 6th round and I started at- so I think, I think, I can’t remember my notes now but I think I started in July of 2013 I believe. Rayzel: That is correct. That is what you wrote. Got it all right here! Heather: Yey! So July 2013 did my round 1. So yeah, you want to have a- that was your question right? Rayzel: Yeah. So that’s good. So 2013 in July. It’s actually not even quite 2 years later, right? IT’s like a year and 9 months something. And you were not on hCG that whole time right? You did rounds. Heather: I did. When I first started doing the rounds I would take Dr. Simeons traditional breaks between the rounds and length. So yeah that accounts for a lot of time in it and this last time between round 5 and 6 I took a 5-month break just because I was tired. Rayzel: Awesome. So see, this is something you guys- I’m always trying to show you guys, weight loss is really pretty quick even though sometimes people get upset about their average weight loss but you know when you think about it over the whole scheme of things you’ve lost 150 pounds in basically a year in a half and you weren’t on the diet most of the time. It’s just like several weeks here and there. So most of the time she was like in Phase 3 eating normal amounts of calories for her body or normal foods, so you can accomplish so much with that. Cool. So thanks for sharing that. Okay so you’re still in your process then of this. You said your last break was actually 5 months and so were you able to maintain most of your weight loss between your rounds? Can you tell me about the story with that? Heather: Sure, actually between most of my rounds between rounds 1 and 5 I maintain really easily. I just have a mindset of “Hey, this is it! I’m losing weight, I’m maintaining!” I was really strict and I did say on P3, P4 for me when you bring in the beans, the starches and legumes, I gain. So I stay on P3. Now my last 5 months of P3 break between the last 2 rounds I maintained until right up until Thanksgiving and then on Thanksgiving I got off path and I gained 20 pounds between Thanksgivings to New Year. Rayzel: That happens to a lot of people. So I have one of those little things and little blip. Let’s just call it a little blip, blip in the journey, a little blip in the journey. Okay, good. So thanks for sharing that. We’re gonna get into more I think a little bit later about the whole maintenance aspect of it later. You mentioned something when you were writing down answers to this questions. You said you learned a very valuable lesson about respecting your body in Phase 3 from that blip. What exactly did you learn? What is the lesson that you learned? Heather: That, well, hCG is a tool. It’s a diet weight loss tool. You lose weight easy. It’s the easiest diet I’ve ever been on. However you have to stick with it. So how I learned to respect the body is you have to stick with what’s healthy for your body. So I learned that you know, cakes and cookies and all those holiday foods are not healthy for my body and I do have to respect it and my body I have hormonal and metabolic issues and I don’t process carbs that well and I have to learn to respect my body and I have learned not to use food as recreation and that’s what I was doing over Christmas. Respecting my body is knowing what my body can and can’t tolerate. I weight everyday on P3 and that’s how I learned that nuts will actually make me gain. Dairy is okay for me but nuts will make me gain so those are rare treats for me. Heather: Yeah. I’ve lost enough weight now. I bet you I can fudge a little bit and have this turkey dinner with 3 scoops of mashed potatoes. It’ll be okay. Rayzel: Yeah. So then you like test it out, okay, maybe not. And like we’ll get into talking more too like you said you have some metabolic issues because I do find for you guys out there listening that a lot of people can move into Phase 4 and eat clean but like with Heather she has dealt with some things since her childhood that are really not related to overeating but still having weight issues and we will talk about that a little bit but there are those different scenarios there. Well why don’t we just get into that whole topic then? Tell us your history when you become overweight. What’s the story related to that? Heather: I like to say I was born chubby. I was born a month premature already weighing 9 pounds. My mom was diabetic and I think I probably inherited metabolic issues from her. But basically from birth I’ve always been overweight, chubby. I think I put in my notes to you that my mom took me for a diet- my first diet when I think I was 6 and I did my first diet when I was 7. Rayzel: Cabbage Soup Diet – it says. Yeah. It’s the 1970s cabbage soup diet. Rayzel: You were 7. That’s so sad. How did you feel? What did you think when you were that age and someone put you on a diet? What did you think? How did you feel about that? Heather: Well when you were a kid you don’t really know how to interpret what’s coming through. My mom was doing it because it was the 70s and she was concern for my health and there was a big push to be thin, thin, and thin. But when you were kid you really don’t understand, all you know is I can’t eat like everybody else because my interpretation was there was something wrong with me. Rayzel: You know my mom actually said the same thing. She had the same thing, she was chubby as a little kid, her first diet was basically around the same age and she said the same thing. It made me think there was something wrong with me, like I wasn’t- something’s wrong. Okay. Heather: Yeah but its okay now a whole another story on that. But yeah, so, always maybe 10 pounds overweight. Again, not a lot. I was also a big child. I was 5 feet tall in the 1st grade. Rayzel: And yeah, obviously bigger boned because of that too, for sure. Heather: Oh, yeah. Always playing sports, hockey and soccer and whatever. Always playing sports so always, always active. Rayzel: You were pretty healthy because if you can actually do all those movements it means you have a lot of muscles on you and you’re actually pretty healthy. Heather: Yeah, I was big, just big, chubby as well as big and tall. So yeah, very athletic, and you know that that first cabbage soup diet did start kind of a roller coaster which any of us who’ve had weight issue in our past can look back and say hey, there’s that diet that starve yourself for a while and eat, eat, eat, eat. Lose and gain, lose and gain, lose and gain, and that was the cycle I got on. Then when I hit puberty. I started puberty at 11, game over. No matter. I just gained. Gained, gained, gained. Rayzel: Now did you feel at that time, I mean I don’t know if you can remember this but, when you gained weight and those hormones kicking in do you feel like you were eating more poorly than the average person or do you feel like you were eating fairly normaly, what do you think? Rayzel: It’s kind of like a case of misguided nutrition. You guys were tempting to healthy with what was considered healthy at the time but it didn’t bode well for your body. Rayzel: No that was good. I think that was really good. So you ended up doing those diets as a young child and as time went on you just continued with the yo-yo dieting issues as you got older. Heather: Yeah, I mean I tried everything, Weight Watcher, Jimmy Craig, Nutrasystem, everything! It was always gonna be the next diet would get me to be thin and beautiful like I wanted. There’s always that next diet. Which I think there’s a lot of us out there that could understand that hope. But it was a roller coaster diet. Rayzel: So you would always regain the weight after you lost? Heather: Lose, lose, lose, then be really strict with the diet til I couldn’t take it anymore and just go off and try and re-feed because you know eating a thousand calories for 2 months, you’re hungry. Rayzel: Kind of like you spaz out, like you go so long that you literally snap. Instead of stopping before you’re at that point. Even on hCG people do that sometimes. They take it too long. When P3 comes they’re so like just burned out it’s like they snap and like “I don’t care!” I’m always telling people even on hCG, stop the diet before you get to that snapping point. Heather: Yeah, and I’ve come close to that snapping point on hCG too and it’s not worth it. The extra 5 pounds is not worth it. Rayzel: Yeah. Good point. So what happened then you said you kind of had a mind shift in your early 30s. Tell us all about that story. Heather: I had just been for 23 years or so had been through the diet roller coaster and I realize I was only gaining weight. I gave up on ever being thin. I was like to heck with it, I’m going to be fat and happy. And I’ve always been active outdoors, athletic, and I just kept up with my athletic lifestyle but I just said I will not diet again. I’m not gonna do it. I think it was hard on my body, I think it’s also hard for my psyche. So I just said, forget it. Probably for 7 or 8 years I just did. I tried to eat healthy. My version of healthy which for me as an adult is more of a low carb, higher protein and I did that. We eat greens, whatever lean meat, but it was also adding in potato chips and what not. You know? Rayzel: Yeah who doesn’t want to be able to eat a little bit of junk food here and there without you know. So you’re eating fairly healthy. I like what you said that you got to that point where like if you’re always dieting like you said and never feeling like you’re good enough because you’re not where you think you should be, like what kind of a life is that, you know? Yeah, I’m just at the point where I am just going to learn to be happy with myself. Rayzel: Yeah, cause you couldn’t find the solution to being thinner so that makes perfect sense too. We should love ourselves who we are. Heather: We really should. To me what I’ve really come to learn over the past couple of years of HCG and throughout my life is that there’s kind of a split mentality to diet in this country which there’s some you know, “Hey, you’re healthier in shape, you want to lose a little weight, feel better physically, you do it” then there’s the whole cycle of “You’re not good enough unless you’re size 5”. That kind of what I got caught up in. I think thousands and thousands of people in our generation, got caught up in that. There’s that message out there. I just said in my early 30s, to heck with it! Rayzel: Yeah. It’s good that you did that. As we talked about kind of ended coming to a middle ground eventually. But I actually, even though I did get thin in my teens, just to add to the story of how messed up the mentality is in the United States and all the input that we get about being thin. I actually was very thin and I still thought I was overweight. I am short but granted I’m short but I was still very small it’s like a size 2 or size 0. Like super small but I have what my mom calls a _______ body which is my legs are muscular, always have been and even at my smallest size, it’s still quite thicker looking than some other thin maybe Asian people or something like that. I always thought that they looked fat, I just was so, so conscious about them. If I have a large meal, I’ll be panicked that I was gonna gain a lot of weight or that my stomach was now 4 inches bigger, which is ridiculous and when I think now back about all the emotional energies spent on that. It’s just awful. It’s such a waste. I can be a little bigger now, actually, very muscular from my heavy weightlifting and I’m proud of that and I think I feel like yeah I have big legs and they look great, you know. Awesome. Rayzel: So you came to that place where you realize that importance of accepting yourself but what kind of problems did you end up running into still? Heather: I still did continue to slowly gain and I would say it’s probably because my metabolism was probably messed up from years of yo-yo dieting and so when I stopped dieting altogether, I think I just continued to slowly gain over the next 7 years and I did get to the point where I was at 427 pounds about. So I did still experience a problem in my mid-30s I was diagnosed with Type 2 diabetes and I was so shocked because I was like, I’m exercising and I’m eating fairly healthy but when it comes to a certain point when you’ve got so much extra adipose tissue, your body can only handle so much. And so I was diagnosed with diabetes and my thyroid started to poop out, I had to start taking thyroid med. It just got to a point even though I was active, I was just not healthy when you start to add in age to what you know. Time caught up with me. I think I told you in my notes I was white water rafting we had an accident and tore up my knee and then that was the final tipping point for me to go and start thinking about weight loss again because it’s very, very hard to be immobile and to be rehabbing a knee when you’re 250 pounds overweight. Rayzel: So you kind of started rethinking things a little bit. So tell us from there then, how you kind of come up across the protocol. Heather: I had been going to a doctor. I’ve had the same doctor for 10 years now and she had been occasionally approaching me about weight loss and I’d be like No, I’m not interested, I’m just going to eat my low carb diet and be fine with it. Then after this accident I started thinking to myself. I wouldn’t admit it to anybody else but to myself, I have to do something because I cannot be immobile. My doctor had mentioned a weight loss surgery and that scared me, because that’s a major invasive surgery and I was really scared about it and I said, absolutely not. A few months later she brought up the hCG and I said 500 calories a day? Absolutely not. Rayzel: Especially with your history when it sounds like, “Oh, I’m just going to be fueling the same thing I used to do technically” like this unhealthy mindset and it can sound like that. Heather: It does. Exactly and that’s how it came up to me. Oh, come on, it’s a crash diet. Then I went through the whole year then I by next summer I was on vacation and I was out on the middle of Central Washington a hundred degree, hot, hot, hot. Here I am sweating in my knee brace, it’s hard to get around, and I’m uncomfortable in the heat. Something started giving up. Rayzel: Gotcha. You like, okay, I give up, I’ll try it. Heather: And so I tried hCG because I was really scared to have the weight loss surgery. I figured hCG was my last stop before weight loss surgery and I didn’t expect it to work. I thought I was having the weight loss surgery and so that’s how I got on it. Rayzel: Then you’ve used prescription hCG right? Rayzel: But you used different types right? Heather: I have. Yeah. For my first 3 rounds I went with the NuImage and I just used their troches and that was really convenient, just pop one in your mouth, under your tongue. Then my doctor, the same doctor, her clinic, they actually have someone who does hCG there and the way my personal flexible spending account is setup I can use that to pay them and so I started going to the clinic for my hCG and for me that’s really convenient because I have somebody right there who can do a bioimpedance electronic scan and helped me if I’m using extra vitamins or on P3 extra need proteins and so they’re there to troubleshoot with me. Rayzel: I’m curious about how the first week of Phase 2 feels for you and then after that we can talk about what parts of the protocol are more challenging for you, what parts are easy? Heather: Sure. So the first week of P2 is a challenge for me. It’s gotten a lot easier probably after Round 3. Just a lot more used to it when I know what to expect. However in my first round of July 2013. Well I was coming from diabetic, high blood sugars and a lot of water retention too from being overweight so that first week to 10 days of P2 was a real struggle for me. You’re going low calorie so your body is not getting the same amount of sugars it’s used too also you’re losing a lot of water weight so I struggled with dizziness and light-headedness the first week and that’s something like if you are diabetic or have high-blood sugar issues, I just kept an apple on me and when I feel it coming I would just eat an extra apple. Rayzel: You do it to handle that and did it eventually get better then? Heather: Yeah, by about week 3 my body was used to it but then again there were some roller coaster ride and one thing I did start doing to help with the light headedness is I got some sugar-free electrolyte mix and I would take 2 servings a day. So some potassium, magnesium, because you do lose a lot of water specially if you’re quite a bit overweight, you’ll be losing a lot of water weight the first couple of weeks. Rayzel: In fact, I tell people that too a lot. Sometimes people who are thinner compare their weightloss with people who are heavier and I try to tell them that actually when you’re heavier you’re also carrying more water weight and that’s why there’s such huge losses sometimes. If you’re thinner you can’t expect to be having that same result. But thanks for those tips, the sugar free electrolyte mix with the low blood sugar and dizziness and keeping an apple on you if needed. Just a quick question, I know this is in the more in the medical space so she’s not giving recommendations and neither am I but I’m just curious from your own experience since you’re on medication for your diabetes. Did you need to adjust that at all in the protocol or tried doing that? I was just curious. Heather: I started out on 1500 mg Metformin and in Round 4 I was really eager to take off my medication and we tried it with my doctor and you know my blood sugar started coming back up so I’m not ready. Rayzel: Yeah even on hCG? Heather: Oh, no, I’m sorry, that was in my P3. On my P3 we tried to reduce some of my medications but my blood sugar crept back up but I’m still 90 pounds overweight and I’m 42 so there’s that to be said. Now I will say when I started my first round of hCG in 2013, my A1Cs were around 9 and just this last fall after Round 5 my A1Cs while still taking the same meds are down to like 5.1. So that’s pretty normal A1C. Rayzel: Cool. And what’s A1C for those of us who don’t know. Can you share what that is? Heather: A1C is a blood test for anybody. It’s a blood test to measure your blood sugars over a certain period of time. So it’s not just taking your blood sugar and measuring what it is right then. It’s looking at how your blood sugar run over the past several months. To make sure that you’re not in a – and here I am not a clinical person. So to make sure you’re just healthy. Rayzel: So yours have come down quite a bit. Heather: Oh, I did. I came down quite a bit. Technically, I’m in a healthy range but you know I’m still diabetic on meds. Rayzel: Sure, gotcha. Yeah. Oh, cool, well thanks for sharing that though because I was just curious about that. You mentioned in what you wrote that with getting on Phase 2 as well you learned to slow your physical activity as well. Heather: So yeah during P2 I do slow my physical activity. I don’t know how people who are much thinner but for me being above 300 and keeping my regular activity routine, I would get light headed and weak and kind of a little bit breathless so instead of going to a gym and lifting weights and doing aero cardio, what I’ll do is like right now once a week I take gentle yoga class and I’ll do gentle yoga before bed, stretching, focusing on stretching and basic core maintenance. Rayzel: That’s good. Sounds like you’re really balanced and I’m glad you mentioned that. Actually, even for people who have much to lose, I do find a lot of people don’t do well trying to fit too much physical activity in. A lot of people try to say you can but well for me I have some health issues too. It made me feel really crappy and really weak when I would try to and then after that I’d wanna eat a bunch of food so that’s not a good feeling on P2 so it is very individual but what I try to tell people is that this protocol, your body is doing a lot- it’s kind of like a cleanse. Your body is used to using food for fuel and now you’re not getting that. It’s having to break down your fat in order to make it fuel for your brain and for your activity and it’s just a lot to be in. So just don’t make your body do too many things at once. It’s gonna have a hard time. Heather: Yeah. hCG is great. It targets those abnormal fat source but it only do so much and if you’re used to burning 3000 calories a day with your activity, I don’t think your body can keep up with that. Rayzel: So it’s totally normal if you have to slow your life down a little bit. For you guys listening. Cause I think some people worry about when you got that weak feeling. Oh, I’m gonna feel like this in P3? No, you’re not. It’s just during this time, let your body kind of process the fats, a little. Then when you get to P3 you’ll be eating more, you’ll be back to normal. Pick your life in. You feel better, right? In P3. Heather: Yeah. Right now, my very last week of this round, I just can’t wait. I’m ready to eat. But yeah I will say that I did do try to incorporate even moderate exercise on P2 thinking that I was gonna burn extracalories and get ahead of the game, my body just said no. I would immediately stall or go up a few pounds of water and it just even out the extra loss for me. Rayzel: Thanks for sharing that too. That is often what I see as well. Your body kind of rebuilds. It’s kind of funny, it’s just one of those things where our body have a mind of their own in a way. You can’t negotiate, sometimes you think it’s that straight forward like if I burn more calories I’m gonna lose more weight on hCG, it’s just gonna flow. It just doesn’t work that way always. Heather: You’re rowing upstream at that point. Rayzel: That’s good input. Good feedback for people to be aware of that. Don’t try to make it be more of a normal pace, try to accept the normal phase because sometime when you try out too many trick, it ends up backfiring. Alright, so share now maybe when you do your loading process. How have you loaded for most of your rounds? Heather: I personally very first loading process was hog wild as dirty as you can get because I was like, I’m not gonna eat for 6 weeks. Rayzel: It’s my last chance! Heather: Exactly. So it was pretty intense eating. Now, I’ve kind of- I meant I’ve worked through some of my emotional issues with food so now I do what I call a muddy load, so it’s not a dirty load and not a clean load. Clean being the lowest carb, veggie greens and meat. So I do a muddy load and for me it’s just a halfway between clean and dirty so I will do my normal P3 foods of lean meats, and veggies and butter and coconut oil then I will try and add in some treats for me. It’s a psychological balance there for me. So I will make- instead of going and getting cheesecake at the cheesecake factory I will make a low carb cheesecake at home. I might add in a few a treats like last time I went to Chinese dinner at the restaurant across the street. Full on carbs but it’s a balance between keeping it healthy and the emotional preparation for 6 weeks of 500 calories. Rayzel: And for you, you knew that that was working for you. Like it didn’t have bad effects later right? So that’s okay. And that’s why it is good. Every person is like individual so I encourage people to kind of learn about yourself and like how you react to things and it’s like I do interview a lot of women who don’t have emotional issues with food so they can load dirty, even dirty because they’re actually not addicted to sugar so it’s like big deal. So you can do that. Or I like your idea of doing a little bit of in between. For me I had to clean load or I would just feel like miserable in Phase 2. Learning to do what works well with your body and noting your reaction. So good. Thanks for sharing that. How about Phase 2 as far as the meals that you would eat. Did you keep it simple? Did you make lots of little recipes? Heather: On Phase 2 I had to keep it simple. I think part of that is with my emotional eating. I love recipes and I love to cook but I find in P2 if I’m focusing too much on looking for recipes and putting too much thought into that food. I want to eat more of it. So for me, 3-1/2 oz of protein, a green veggie and some fruit. I don’t do much more than that. I just keep it simple, I don’t have to think about it. But the only thing I do is I have before Phase 2 I buy a big bottle of hot sauce and a big bottle of mustard and I just dump that in everything. Rayzel: The 2 best P2 condiments. Rayzel: Cool. And you having just a little bit of something with that really nice flavor can make a big difference and like I said P2 not being about food cause I found the same thing, that I needed to kind of not spend too much time on food or I would eat more of it. It’s like just do it, get it done. And then Phase 2 you want it to be about other stuff, like about life or doing other things. Heather: Exactly. And it comes in to as hCG as a tool for me. So I’m going to inject or take my hCG and I’m going to do my work of eating my P2 food and then move on with other things and that is how hCG has worked well for me is that it’s just so simple. It’s plug and play if you’re prepared. Rayzel: Cool. I wanted to ask you what tricks you have up your sleeves for staying sane on P2. You mentioned there was a couple of things that you have on P2. Do you remember what those were? Heather: I still don’t have my notes next to me. Rayzel: Well, one of them was the hot sauce spicy mustard. So that’s a good one and that’s Phase 2 friendly. You mentioned one other treat and I’ll just blanket this real quick for everyone. Her little treat is technically off of the original protocol, we call that rogue, but I am not opposed to modifications to the diet at times because I’ve seen how it can work for different people and they maintain but I just want to let you guys know that it is off protocol. So share the little treat that you have. My little treat is I take frozen blueberries and drizzle them with a little balsamic vinegar and then I use erythritol which is a sugar alcohol and lets that set in the counter till it melts a little bit, mush it up and it’s kind of a dessert for me. Rayzel: Sounds good for P3 too. Heather: It is. It would be good for P3. If I say I’m toying with a sorbet recipe, I think it’ll be really good for P3. Rayzel: Cool. So about how many frozen blueberries would you use and about how much balsamic vinegar on top of that? Heather: I put about a cup of blueberries and then maybe a teaspoon of balsamic and then a sprinkle of erythritol, maybe no more than a tablespoon, not very much. I just do it to taste. I found it doesn’t mess with my blood sugars and it doesn’t mess with my weight. Rayzel: And you would use that as Phase 2 fruit for the day? Heather: Yes, I would use that as my fruit and I’ve always done kind of what you call rogue. I don’t do strictly protocol. But I do have my own plan and I stick to that. That’s another P2 trick, I stick with your plan. hCG is not forgiving of cheating. Rayzel: Right. I think that’s a good point that I do think modifications at times work well but like you said that one of the keys is mentally we’re affected by the choices that we’ve made or haven’t made. Sometimes if you make a modification that you want on. It’s like you perceive it to yourself as cheating and affects you occasionally. The other thing is some modifications are not wise and they will affect you negatively and that is not a good choice. Like berries are very low in sugar, just like strawberries are and like you said you knew that that was kind of within the realm of the principle of the diet which is keeping things low sugar. I was thinking for people who want to stick to the original protocol they can do that recipe with frozen strawberries. Like sliced frozen strawberries with the balsamic and a little bit of erythritol that sounds really good. Heather: Yeah, I’ve done that with strawberries too. It’s just a little sweet and sour kick. Rayzel: Also some people find with sugar alcohols, that’s one of those things like it’s individual, you have to see if it affects you or not. Some people find it’s not a problem, other people, even in small amounts they’ll notice it affects them and I’ve noticed with leaner people they can’t get away with as much when it comes to that. So it’s just something to be aware of. Also it’s the frequency and how often is part of it. So if you’re only having a little bit now and then, it may not be a problem, but if it’s like a lot every day, it can probably, you know. Heather: This is something I did test on P3. I did not start doing this on P2. I knew how my body would react to it. Helped me feel safe doing it on P2. Rayzel: That’s smart. Planning ahead. Heather: One thing I forgot is, planning it around holiday. Don’t give yourself too much temptation. Rayzel: That’s such a good point. That’s one of those major tips. I think sometimes we think “I can handle this” in advance when you are not on it. When you are, it’s like “I totally can’t do this”. Heather: You know if you’re going to your brother’s wedding in May, don’t start your round then, especially if you like to eat. Rayzel: Right, exactly. It’s not a weakness, that’s just—anyone. Rayzel: Yeah, anyone would find hard. I find those situations hard. So don’t plan around during those times. Heather: Exactly. Make it easy for yourself. Rayzel: Yeah, so if something like that came up would you stop around earlier than usual if something like that were to happen? Heather: Yeah, if it was something like a wedding where I do- I know myself personally in social situations, even we have a big staff meeting at work. I knew that I would want to eat because I just do in social situations so yes, I would probably have done a planned interruption if something like that was on the horizon. But so far I’ve been lucky to just be able to plan ahead. So I’ve never had to interrupt a round. Rayzel: Okay, so why don’t we get into Phase 3 now in more detail. So because like you said, you have some thyroid issues that you have metabolic stuff with the diabetes and just having issues as a young person. How has Phase 3 been for you as far as stabilization and what you find you can eat in between your rounds? Heather: I do stick to P3, I’ve not really move on to P4 during my stabilization and I just need to be strict. I still weight every day. I think I said that before that’s how I discovered I don’t have too many nuts. It’s a little carby for me. I stick to more of a low carb paleo. Lots of meat. I do fattier meats, I do okay on fats. So fattier meats, green veggies, lots of butter, coconut oil, avocado oil. So that’s a low carb paleo, that’s how I do P3. Rayzel: Let me interject here. Do you feel happy with that? Emotionally? Do you feel like you’re at peace with eating that lifestyle right now? Heather: I do feel that way. I will say that I do make modifications to it so I will, you know, cream cheese is not strictly paleo so it’s more primal but I will make like a low carb cheesecake with the erythritol and stevia, it’s just finding that balance what I feel healthy on which is more of a primal paleo lifestyle and a balance of I’m still a human being with 20 some years of food issues and I need to make it easy on myself so I do give myself treats. Rayzel: So you have your little treats that you can do that won’t totally derail you. Heather: Exactly. I really concentrate on trying to make my comfort foods at home P3 friendly. Rayzel: That’s great. I think that’s actually something we all need to do. We need to find replacements for what we use to eat that still taste like a dessert. Speaking of that, do you think we could get a link or something to the recipe for the cheesecake with erythritol on it, later? I don’t actually have one. I just kind of throw stuff in a bowl. I will say Maria Emmerich, she has some stuff, she has a great avocado and lime sorbet which is really good dessert, that’s really good for P3. Rayzel: Oh my goodness, okay, well I will give you guys the link to that in the show notes so sounds really good. Heather: That was really helpful for my first couple of rounds because I knew I had to figure out something. Rayzel: Yeah, avocado lime. That actually make sense though, for a sorbet. Okay, great. So you found that you couldn’t really enter Phase 4 because of your metabolic things, you’re actually still hoping to figure out more as time goes on, right? Heather: I hope as I become leaner that my metabolic issues will decrease, at least, according to my doctor that’s what we’re hoping. And I hope I do have some more leeway. I would like to have more beans and what nots. Rayzel: You have the tools to maintain and still have some treats that you can make and eat healthy. Yeah, and it’s comfortable. I don’t feel like I’m always on a diet which is really important. Rayzel: And now when you stabilize where do you stabilize from your Phase 2 usually? Heather: I usually, tomorrow for this round will be my last injection day and on those 3 days that you don’t inject that you eat lower, I tend to drop down below LIW and so I usually stabilize 5 lbs below up to 2 lbs above and I really, really try to stick with that. Extracting last holidays. Rayzel: Yeah, alright, I know, well aware of the blip. I wanted to know if you, you don’t have to talk about this, but you mentioned that you’ve been working on emotional eating issues with a counselor. I was just curious, how are you working with that? Like how does a person do that? Heather: I think it will be really individual for a person but for me, my childhood, being in a diet when you’re 7 and like your mom said feeling there’s something wrong with me and I took that as what have I done wrong? And to learn that your body is not friend that young of an age and paradoxically I think with all the emphasis on diet in my young life that I learn to use food for my emotional issues. So food was my enemy and food was my friend. Just depending on what cycle of my diet I was on. So learning that, and learning to have some and live my life without food being so paramount cause I think when you’re again that young and you’re caught up in this diet and for me it was diet and overeating cycle, diet binge. There is- I think you mentioned there was a lot of emotional energy that gets focused on food and where you can now learn to take that emotional energy and focus it in other areas of your life and learn that there’s life without the whole great big monster of diet and fat and body and exercise. There’s so much more to life out there and that’s what I’ve really been working on is learning how to live my life without really focusing on food. Getting excited about going on a camping trip or getting excited to go on a road trip somewhere. Rayzel: Gotcha. So would you say like, cause I’m just trying to figure out logistically how a person makes this change cause I think about this with myself too and I wonder that like how have I changed. I’m trying to figure that out to help out other people. Logically, it’s like talking it out then thinking it out sounds like part of it, like, actually adjusting like what went wrong? Is that helpful? Trying to figure out what is my issue with it is part of that talking it out? Heather: I think for me it’s a small part of what went wrong, how do I use food, how do I hide behind my body, that was a big thing for me, it’s hiding behind my body. My body and food early on were enemies but it was also my friend because I could just not have to deal with whatever maybe I’m afraid of rejection or I can just say, “I’m fat”, I’m just gonna stay in and eat pizza. So that was one of them. Rayzel: So you talk it out and you figure out this was where this is stemming from. Cause it sounds like trying to make the important things in your life not revolving around food. So did you just start practicing, like you said, you planned a road trip or you found other things in life to do, to try to make your about other things, did that help? Sorry, I’m totally picking your brain right now. Heather: No, it’s great, and I haven’t actually thought it through in detail. For me hCG because I had to stick to it and I have to pull money of my own pocket, for me, an expensive vial of hCG. It was a commitment and I just had to white knuckle it and get through my diet and I knew come whatever, I was not gonna cheat, I was not gonna regain, this was it, I’m paying for it. In my advantage you know what, I had been at that point almost 40 years of diet and exercise. I’ve been through the diet cycle, I’ve been through the no diet cycle and it might have just been my time to just say this is my life, this is my body, I get to be the captain of this ship. And I get to be the captain of this ship whether it’s _______ or it’s gonna stay 400 pounds, it’s my body and I think for me, it’s also learning to love myself no matter what. And I think I put it in my notes there cause for me I’ve learned if I am looking at food as an enemy and my body as an enemy, that’s emotionally depriving and I found for myself when I feel emotionally deprived, I want to feed that, with food. So sticking to it, I just had to start offering my body a lot of love and offering myself a lot of love. I don’t know really how to explain it more than that, but it helps fill an emotional hole that has been there and I don’t need to fill it so much and pizza and cheesecake anymore. Rayzel: Yeah. That’s good, learning to know yourself differently. Rayzel: Right, mistakes are kind of high, right, like you said it cost so much. Heather: It’s very unforgiving, you cheat, you- for me I cheat I gain 5 pounds. Rayzel: Yeah, like other diets you can take a day off but this diet, it’s true, you’re forced to commit or it’s like bigger than usual consequences so I do appreciate that other point that sometimes there’s that a white knuckling period. Actually, I kind of went through that too my first round, I told this story before you guys, sorry if I’m saying my story too much but just for those of you who were new, like 11 days into my 1st round. I did binge for a couple of years before on the diet. Like 11 days in I went through withdrawal period and I’m like, it’s horrible. I was just like curled up in a fetal position in my bed, I was craving like a chocolate cake so bad and I knew, I knew the consequences like if I do that right now because it takes 72 hours for hCG to leave and it’s kind of like those cravings hit you, “Oh okay, I’ll wait in 3 days”. It’s either now or I stick to it. I’m gonna give in now and I was like, this is such a big moment, because I felt like it was kind of my last hope and if I give up now like that’s it, that was the last hope or something like, I was calling my mom and I don’t usually call her for advice and I was like “What do I do? I just don’t know what to do, this is so hard.” And like you said I white-knuckled in a sense and after about 2 or 3 days that feeling actually went away and it felt a lot easier and so I think with hCG it helped break a cycle for me then I was able to make better choices going forward and realizing my previous choices how it made me feel and I don’t want to feel that way again now that I had broken the cycle. Heather: That sparks something, it reminds me of something, white-knuckling it. I did that, I went through that white-knuckling period. I remember coming home at 5:00 in the evening and going straight to bed, if I stay up I will eat something. I white-knuckled for the first round but getting through that it really taught me that I don’t really need to eat what I thought I need to eat. One, I really wasn’t hungry. Two, white-knuckling it for me through those wanting to binge times taught me that I was okay on the other side of this. I really had never had the chance to see the other side of a binge without the guilt of having eaten huge amount of food so it really taught me that it’s okay to not. Rayzel: And you feel better and that that feeling actually does go away. The feeling, the urgency to eat something, it goes away. I’m glad we talk about that. Cause I’m just thinking more and more lately about how people make this change for real. It’s such an organic process really and like you said so individual. But just trying to think how it is happening to help other people make that change. Heather: Yeah, that’s something I have thought a lot. I think you just have to come into a certain point where you’re ready. Rayzel: Sometimes I tell people, it’s almost like a click that goes off like my 2nd round I totally screwed it up and I was just eating whatever I wanted after that for a while and I did feel ready emotionally and I did weigh. I think it helped me weigh which is good. Then I actually at some point several weeks later after just eating whatever I wanted. It was like I felt a click on my brain, “Oh, I feel ready now, just refreshed”. And that was the right time. If I had started before then, I think I would have just had a really bad round again, cheating, you know, so. Heather: Yeah, your head has to be in the right space and this round has been difficult for me because I don’t think I was completely ready and I think it more of as a I’m just gonna do it. It’s been difficult. There’s been days on this round in particular where I have struggled with wanting to over eat. Rayzel: What factors have you noticed to play in a role in people not succeeding on hCG, what would you say about that? Heather: I think going back to our last talk about being ready for it. Then also sticking with P3, sticking with P4 if you go on to it. What I have seen is a lot of people who do not maintain is going back to old eating habits and maybe using hCG is kind of the trick up their sleeves if they gain 10 pounds, I’ll just do another round. So I’ve seen that and that’s the one thing that I try and avoid. Rayzel: Okay, so not taking advantage of hCG is something as an easy fall backwards. Yeah, just knowing, hey this is P3 I need to respect it and maybe it’s because I’m still- I have a way to go yet I don’t want to go backwards. But yeah, P3, sticking with it. Honoring P3. Rayzel: Honestly, I actually feel, you know, everyone feels differently but I feel like hCG is challenging so even for me I don’t have any desire to do it again. Yeah, to me that is motivating like sometimes I think to get out of reality a little bit when we’re off of it, we think oh it’s not that bad but it is pretty challenging. So if there’s any way to keep making the right choices and keep things in check without it. It’s good. Cause like you said it’s a commitment. Several weeks there’s P3, you know, so. Okay, so the last question is what do you feel are the most important keys to success on the hCG protocol for someone that wants to have the results that you’ve been getting. You mentioned 4 different main factors. What were those? Heather: I’m gonna look at my notes a little bit here because I got a little verbose but my first one is stick with it. Just stick with it. Commit to P2. Just know it’s gonna be 3 weeks or 6 weeks or however long it is and just do it. The hormone is unforgiving of cheating. It’s only for a set period of time and you can slowly work your way back and the results are worth it. So that would be one, stick with it. And then two, it’s a huge change in your lifestyle, so schedule it, be as easy on yourself as you can because you’re already going to be doing a 500-calorie a day diet so if you, like for me, I know on my notes I think I said if you know that you love to eat Thanksgiving dinners, you love your Aunt’s cranberry salad and you really want some of that on Thanksgiving. Don’t try and make yourself be on P2 or just in your 3 weeks adjusting Phase on P3, don’t be in that during holiday, just make it easy for yourself. Eat healthier recipes, it goes along with making this easy on yourself, so let’s say you’re going to Thanksgiving dinner and maybe you can find a recipe online for a low-carb tricky stuffing, maybe you can make that and have that for yourself so you’re still getting the taste that you crave. For me, it’s cheesecake, so I learned to develop my own cheesecake recipe and it’s a lot easier on P3 when you’re driving pass Taco bell and you’re thinking, “Ugh, tonight’s the night I could just get away with one Taco grande” or whatever they’re called. But you know instead of avoiding that tasty treat, you know that there’s something, there’s a reward waiting for you at home which is your sugar-free cheesecake. So it makes it easier on yourself. Rayzel: I love that you said that. I actually did the same thing to this day, it’s been over almost 2 ½ years since I’ve been off hCG to this day, if I go somewhere and there’s like a bunch of cookies or ice cream, I am thinking to myself. I’m not thinking, “Oh, I can’t have that”. I’m thinking, “Oh I can’t wait to go home cause I can make my Phase 3 smoothie and it’s gonna be big and fill me up and I can have much of it as much as I want.” So that’s the thinking on my head. I love my little treat, I love how it taste, I’m used to it and so that’s exactly what I’m thinking. Heather: For me it’s great because in the past diets I’ve felt restrictive and deprived and so instead of thinking, “Ooh, you really have a messy plate of nachos, I’m gonna miss those plates of nachos because I’m on a P3, I’m on a diet, I can’t have it”. So instead of thinking about deprivation of can’t having a treat, you think of the positive reward of having whatever it is your healthy treat at home and that makes it so much easier and then love your body. That’s been a big one for me. Hey, I’m almost 42 years old and I still look in the mirror and I still struggle but I have found it so much easier to stick with hCG, again kind of going back to my last point, making hCG more of a reward and more of being kinder to yourself thinking of hCG as a step towards being in a healthier body, towards meeting a goal you may have, rather than thinking of it as a punishment or a withdrawal of food. “LOVE YOUR BODY in all its shapes and sizes. As someone who struggled with weight since childhood, I was taught early on that I was unacceptable because I was big. I grew up believing this and blamed my body and myself. The only solution that I knew was to fight my body with starvation diets* and lots of self-criticism. This led to abysmal self-esteem and diets became a way to punish myself while trying to force my body (and self) into a “better” shape. I hope you don’t mind me reading that. I really like that. That was good. That hating your body never works. Heather: Yeah, if I could put that on a billboard and walk around with that, I would. That’s really what I believe in. Rayzel: Yeah, hating your body never hurts, I’m gonna title the blog post that, I think. That’s really good. Thank you so much for being with me today Heather. We covered a lot of stuff but I think it’s so valuable and I hope the rest of your journey goes well, I would like to touch base with you again. Yeah, I would love too. Rayzel: In 2 or 3 more rounds, to see how things are going. Heather: I would enjoy that. I believe we all learn from the personal experiences that each interviewee shares. I know I do and I am constantly enriched with ideas and motivation from both this blog and all the hCGers out there who share their stories with you HCGChica.